I wanna see what you guys think. I personally think that the ariens 10000 series blowers knock everything out of the park. The only thing I don’t like is the short chute but other than that it is a literal tank. Cast iron everything. Also I like the toro power shift because of it no shear pin feature and giant augers. What do you guys think? Here’s a pic of my new machine. I'm partial to Simplicity, which is what I used growing up. They've been making essentially the same chassis for over 30 years now. Rock solid. I'm partial to Simplicity also, especially the Professional series as shown above with the rectangular tubing. However Nothing Nothing can beat the 12hp Gravely Convertible, all gear driven, all cast iron, 2 speed auger, weighs 600 lb. It will bury a tunnel in a State plowed 12' packed mound at an intersection. It will throw across a 4 lane street and hit the buildings on the other side of the sidewalks. I second the 10,000 series Ariens - and if I had to narrow it down further, I'd nominate the 910962/910995 combination and it's alt modeled twins such as the 10962/10995. 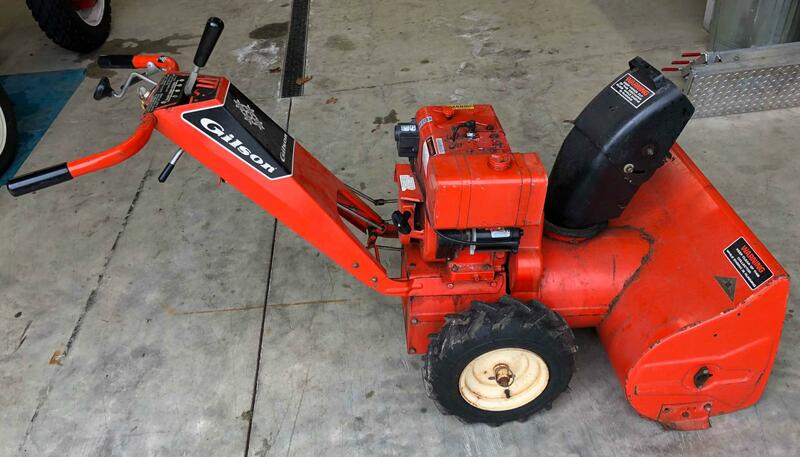 When looking across the nation on CL to see what old school used blowers others are selling - the most common blower I see of any make/model is an Ariens 10k with the "7HP dual attachment handled/one lefty under clutch lever" setup. Most every time, it's a '962/'995. It may have a replacement Tec motor, it may have a Predator...but they seem to be in every area of the country in high numbers yet today. I don't think my old Gilson is the "best" but it could be in the top 10 conversation. Like most folks, I'm always disappointed when I see peeling paint and rust bubbles on many machines built in the last 20 years. Yet, old iron from the 1970's and 1980's look like they'll easily survive another 40+ years with proper maintenance. I third the Ariens 10,000 series. Definitely "hall of fame" worthy! 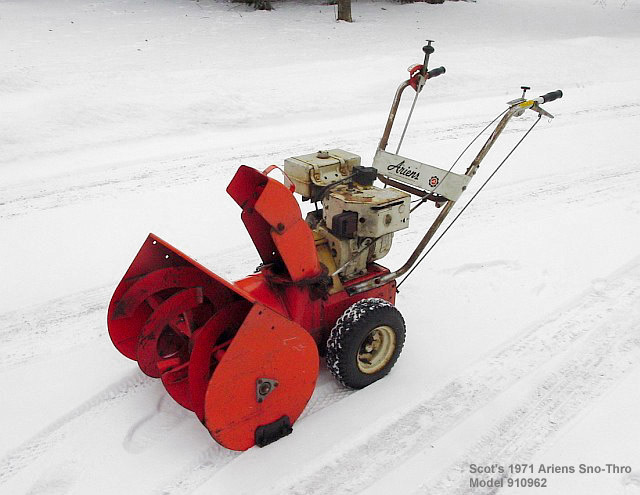 I bought my 1971 Ariens in 2009.. a decade later its still my primary snowblower, in the lake effect snow belt of Western NY. 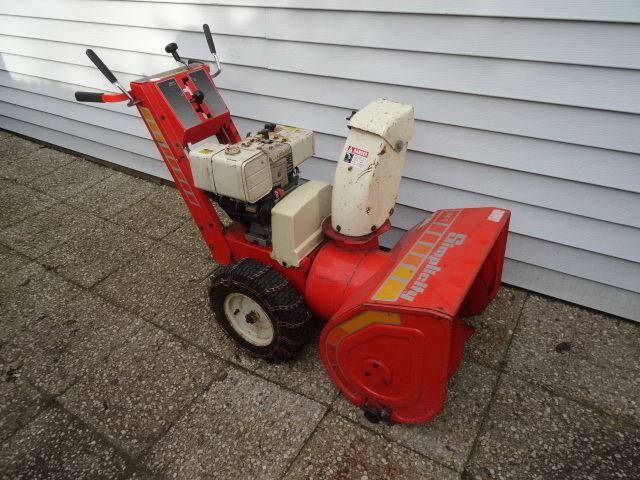 And its the machine that inspired my Ariens webpage. I now have two 1971 Ariens and a '91, im basically set for life. Good to see ya, Ronin. Hope all is well on the hill. Sent from my junky old Hisense 7" tablet that I can barely see. 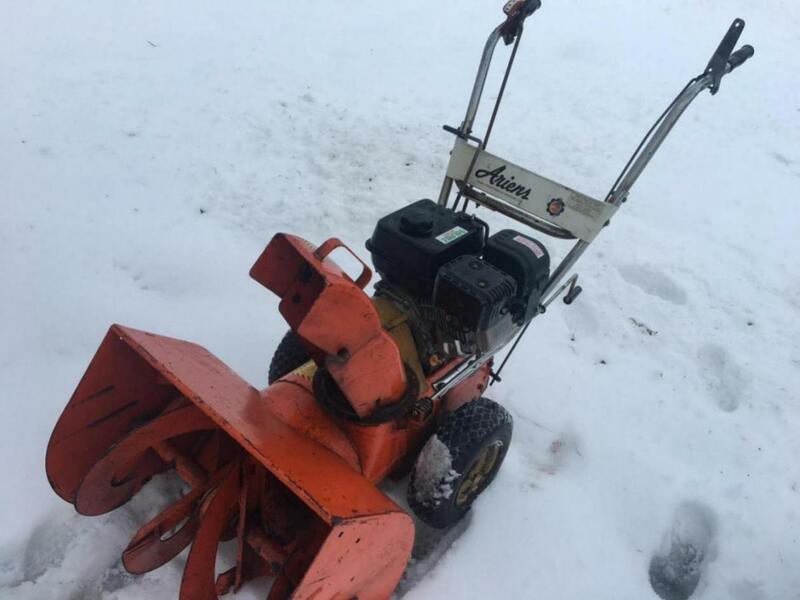 Ariens Sno Tek 7/24 sold. Old quarry shovel for ice. Of the 10000 series, I prefer the 910019 and the 910018, models...1973 and 74. Love the old design with the more modern safety. My first choice would be any of the 924 series, with my preference being the 4 bolt bigger wheels...but love them all. Third choice would be the mighty Powershift for operation and quality of build, but not first choice because of maintenance and parts.